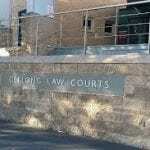 Criminal Lawyers Geelong – The police made more than 17,000 charges in the greater Geelong area in the last year. Were you one of the people facing any of these charges? Do you realise that sometimes the difference between serving time in prison and being able to be home with your family is whether or not you have a good lawyer? An experienced criminal specialist can make all the difference in the world to the outcome of your court case. Make an appointment to see our approachable criminal law specialists who are specially trained to make sure you have the best possible advice in the plain language that you can understand. Our lawyers are here to help you, not to make things more confusing. Being charged with a criminal offence can be a scary thing. A custodial sentence is a life changer and can affect not just your career but also your relationship with your family. The very last thing that you want to do is to try to go it alone. We understand that you might be feeling embarrassed, angry, frightened, or any number of other emotions. This is a very difficult time for you and it can be hard for to concentrate on the facts. Imagine trying to do this under the pressure of a court room situation! This is why you need a good lawyer on your side. Let our lawyers be your voice in court. Theft, burglary and property damage charges are the most frequently charged crimes in your area. If you have been charged with these or any other crimes then you really need to speak to a lawyer immediately. If you are facing a criminal trial for a serious charge or charges then we are also the right firm for you. Our team is used to running trials, and run many trials in a given year. To help you through the difficulties and stress of a criminal trial you need a firm that not only works well with you, but also works well with a good barrister. Together you all become a team – your team. We get behind you 100% and you are treated with the dignity and respect that will make all the difference to your experience of the trial. Don’t risk your own future with a firm who is not practiced in running trials – our lawyers are experts in making sure that your needs are taken care of in the courtroom. Dribbin & Brown Criminal Lawyers in Geelong is the firm you should contact the minute you find yourself in trouble – your future is too valuable to entrust to anyone else. Call our Criminal Lawyers Geelong for trusted legal advice, we appear regularly in Geelong Law Court 03 8644 7300.